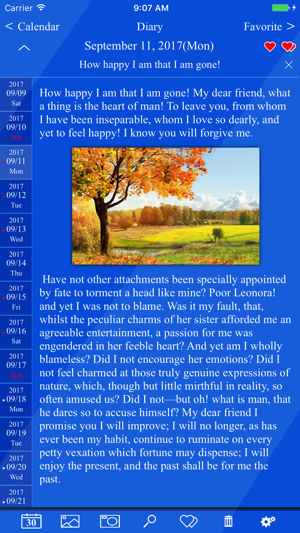 I’m writing this to let you know just how much I truly love the Edge Diary app. I’ve been wanting to get in the habit of writing in a journal, but I just never seem to have time to sit down with a notebook and actually do it. I have a ton of empty journals sitting at home that just felt too boring to use. But everything has changed since I downloaded the Edge Diary app from the App Store. For the first time, I actually look forward to capturing my thoughts from the day! 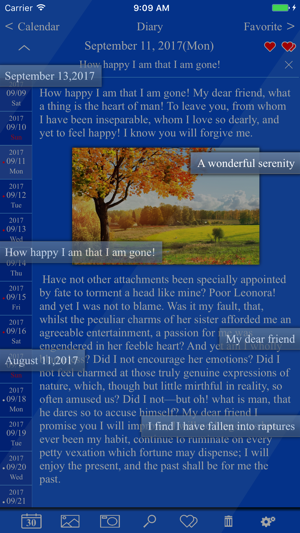 At first, I didn’t know anything about using an app as a way to keep a diary, so I was skeptical. But, as soon as I downloaded it, I realized it was going to be a quick and easy way to write down my thoughts. Plus, when I saw it was free, I was even more excited! 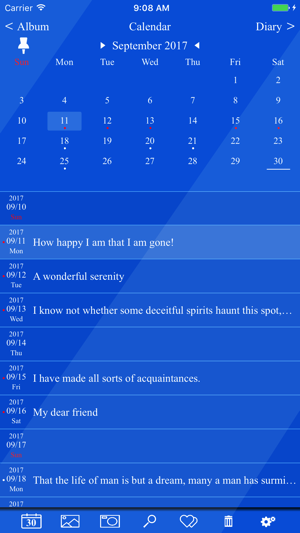 Then, immediately upon downloading the app, I was able to write my first diary entry – no setup or instructions required! 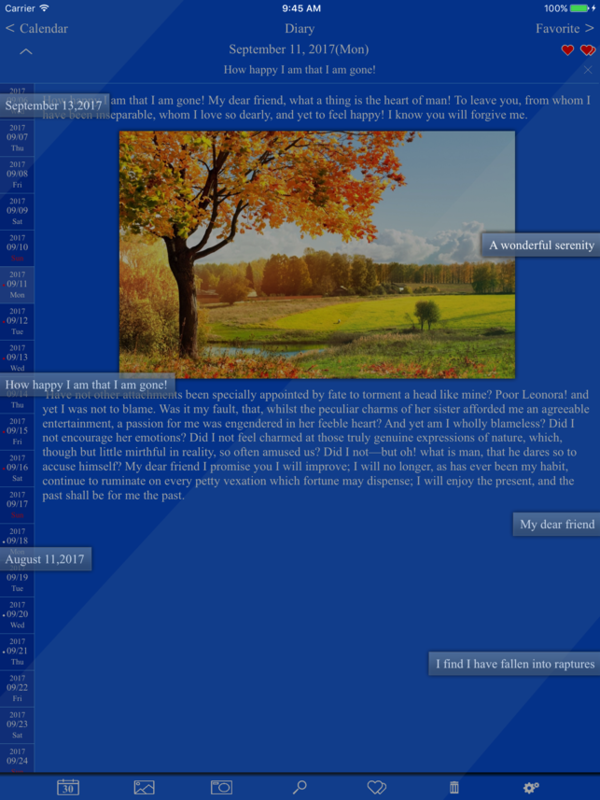 I love the feeling of seeing my thoughts laid out on the screen in a neat, organized way. 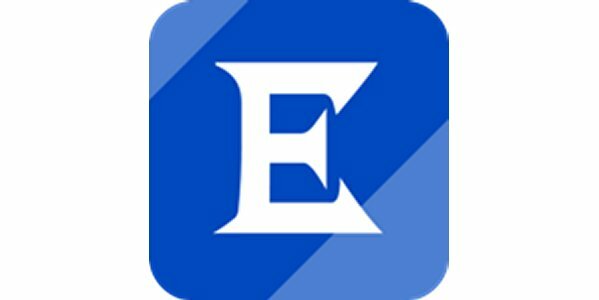 There are tons of benefits to using the Edge Diary app, including the ability to switch views (between daily posts, weekly posts, or a full month’s entries) and the search function that allows me to look up any particular post or keyword I want. There’s also the awesome option of adding pictures to my posts. 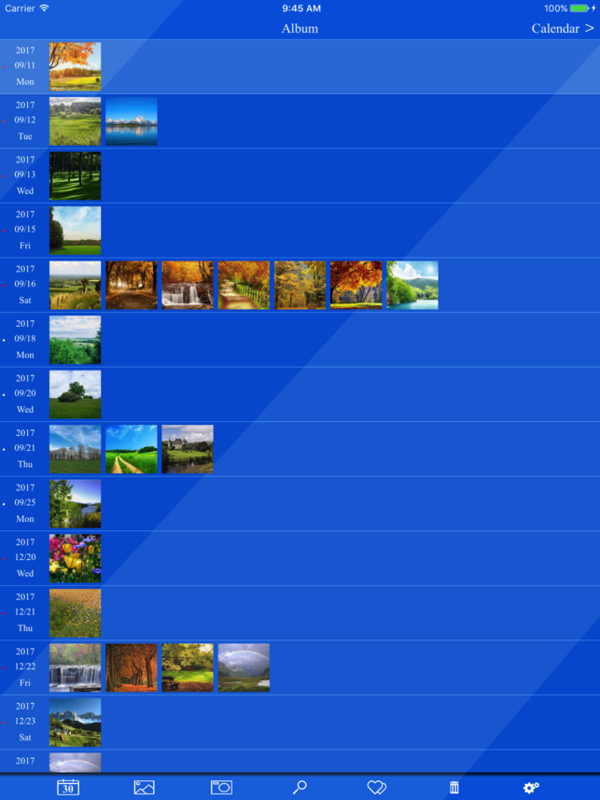 I can snag a picture from my saved albums on my iPhone or iPad, or I can take a pic directly through the app. It’s so easy to do, and it ends up making my posts look more artistic and detailed! And if I’m being honest Diary, there are only a few tiny things that disappoint me about the app. I wish there weren’t ads on the screen that distract me from my writing, but there is an option to remove the ads if I wanted to spend a little extra money. 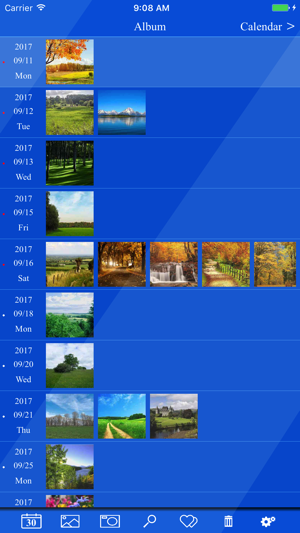 Also, the app doesn’t look too pretty when you first get started. The fonts and colors are a tad boring – however, as soon as I entered some of my posts, the screen looked a lot more interesting. 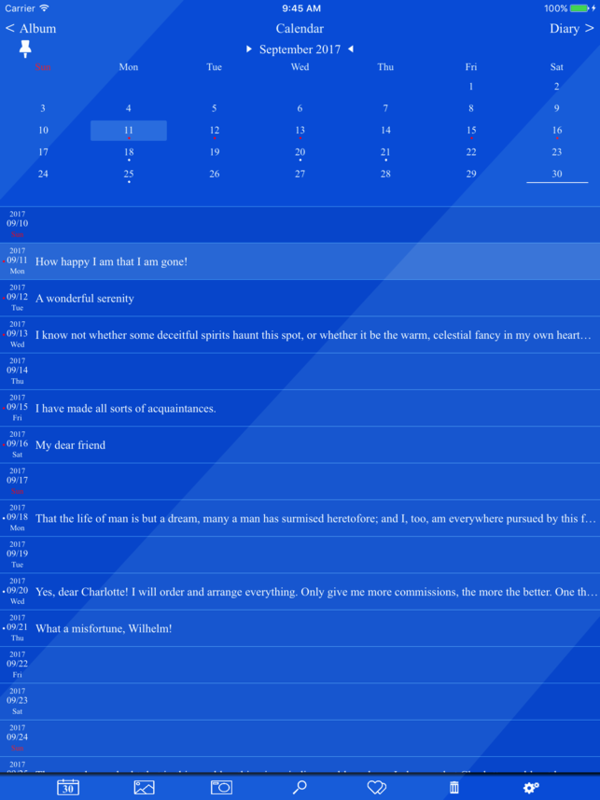 So, overall, Diary, I just want to thank you for being such a delightful app. You keep my thoughts organized in one place and allow me to be creative with my diary-keeping. I can’t wait to tell my friends about you!